Malcolm Gladwell entertained a diverse audience at the Oxford Playhouse recently with a 90 minute talk about serendipity in cancer drug discoveries. As usual his stories were engaging, sometimes funny, sometimes sad, always entertaining. My 17-year-old son was just as engaged by him as I was, which is a pretty big compliment. Some parts of it are in this New Yorker article. He described a division of serendipity achievements into three levels. Columbian Dumb luck Columbus discovered the Western Indies whilst looking for Asia having used a map with the wrong scale due to a confusion about whose miles the map was drawn in. Archimedean Lucky when looking Whilst searching for the answer to a problem, he discovered the answer in an unexpected place (whilst getting into a bath). What it required was that when something ordinary happened, he was able to connect it to his particular problem and therefore find a solution. 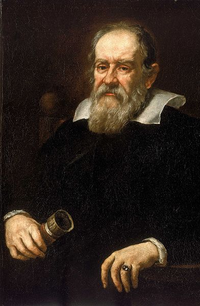 Galilean Lucky after looking in the right place Galileo had a thirst to understand the heavens and manufactured a telescope to do so. He did not know what he would find, but had the courage to look. What, in another context, Gladwell describes as “throwing everything against a wall and seeing what sticks”. All of these require a special mindset, one where you are prepared to put aside your preconceptions and allow new and unexpected ideas to surface. My son described these ideas wonderfully as we cycled back from the talk: “hiding in plain view”. Gladwell’s point was that we should recognise Galilean serendipity as requiring a special type of effort and courage, to realise that there might be something incredible to discover if only we were to look in a place where no one else has, especially when it requires you to invest a lot of effort in that search. This is the first key lesson for us about serendipity; that we must constantly seek to be surprised and that this is an active process, not a passive one. Take the story of the invention of the Post-it. This is a great case of Columbian serendipity. Making the wrong type of adhesive and then seeing that this had the potential to be a new type of product. Many product innovations come into this category; you are looking for one thing and find another. You get your innovative product, but not a solution to the original problem. I think lots of us experience Archimedian serendipity during the development of a product. Faced with a particular problem, the solution occurs to us when we least expect it. Somehow, we are able to process subconsciously what we failed to do consciously. Looking for a product that would solve a problem and finding it in an unexpected place. Sources of such serendipity might be reading about a completely different subject and finding the kernel of the solution in a metaphor. Do we experience the heroic Galilean serendipity in new product development? What would it take? It would involve deciding that a particular market, or technology, or type of customer, was ripe for a new product, but not knowing what it was. The next step would be to build something specifically to try to find that product (the equivalent of Galileo’s telescope). That might be market research, a prototype, a trial product, or something we cannot imagine right now. This would take an organisation that was prepared to fund new product development merely for intellectual curiosity and in the belief that one day, someone will find something hiding in plain view. But hey, don’t worry, the Catholic Church forgave him 400 years later. This entry was posted in imagine and tagged fun, luck, product, product definition, strategy. Bookmark the permalink.